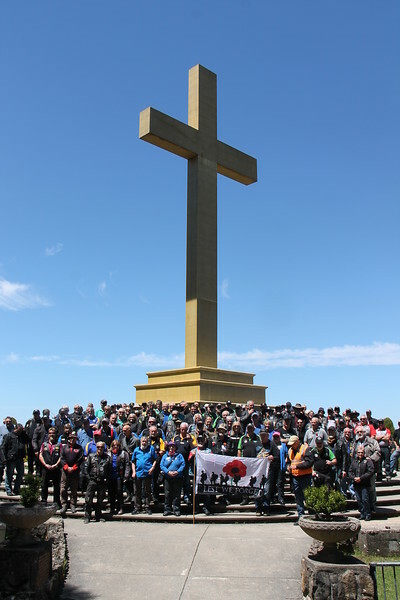 Each year around 11th November Victorian Ulysses Branches converge on the Mount Macedon memorial cross to remember not only those who died in military service, but also to commemorate Ulysses members who have died in the past year. Each of the deceased member’s name and branch is read out. 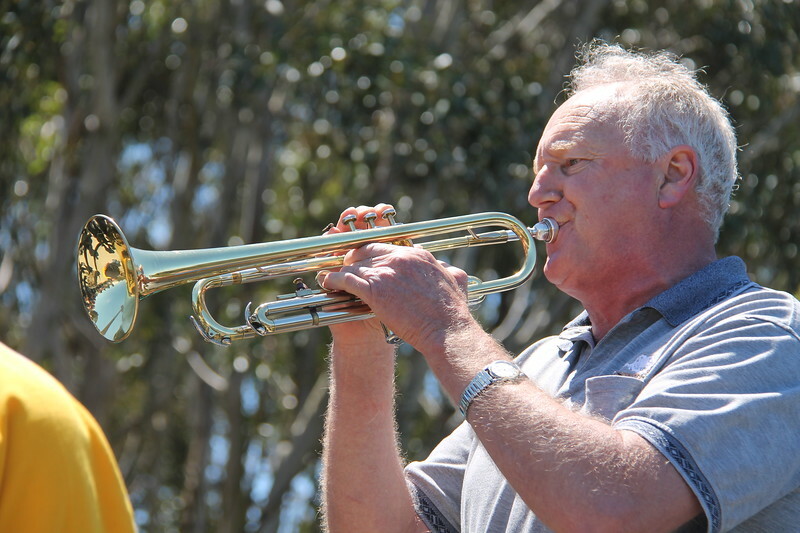 The service is run by the Macedon Ranges Branch with the Geelong Branch providing the catering. It is officiated by a sprightly octagenarian motorcycling minister of religion with many hundreds of thousands of kilometers under the wheels of his ageing BMW – many with his wife pillion. 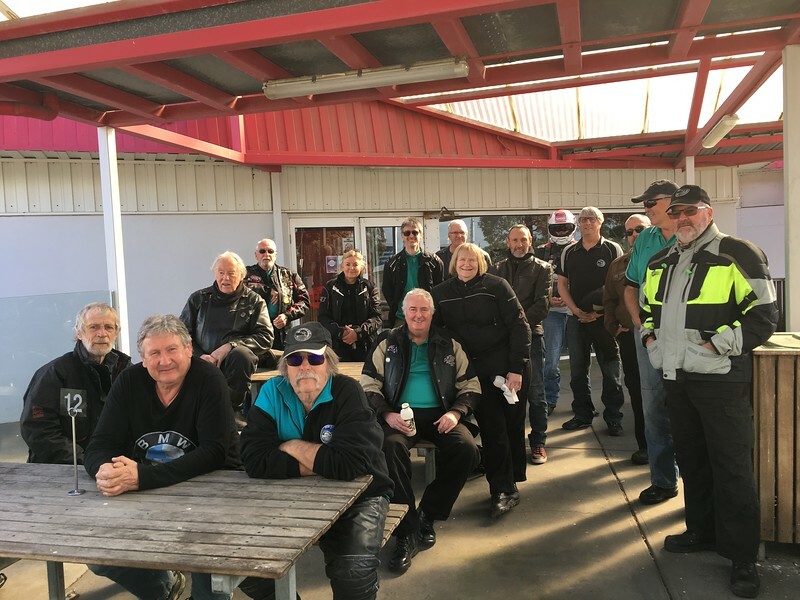 I led the riding group left from the Corio Roadhouse (Geelong) straight to Bacchus Marsh where we met the Westgate Wanderers and a few fellas from the Grampians Branch. 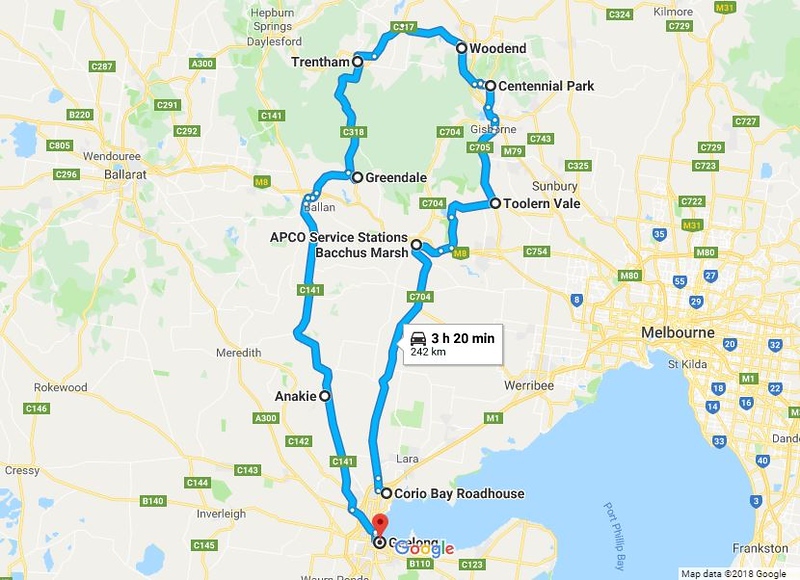 Once we negotiated the road closures in Bacchus Marsh we headed along the Avenue of Honour and then out the back way to Toolern Vale and on to Gisborne. We stopped for a minute’s silence at 11.00am on the roadside a few kms out of Gisborne. From there it was a good run through to Centennial Park at Mount Macedon. Gentle & Coll, Willie and Lindsay travelled by car towing the chuck wagon and a trailer with tables and chairs etc. Gentle did an amazing job of organising the catering supplies and logistics. I’d also like to acknowledge all those who contributed by way of cooking (Willie, Lindsay & Steve) and all who set up the tables and shelters, served the food and helped with the pack up at the end. Great teamwork! 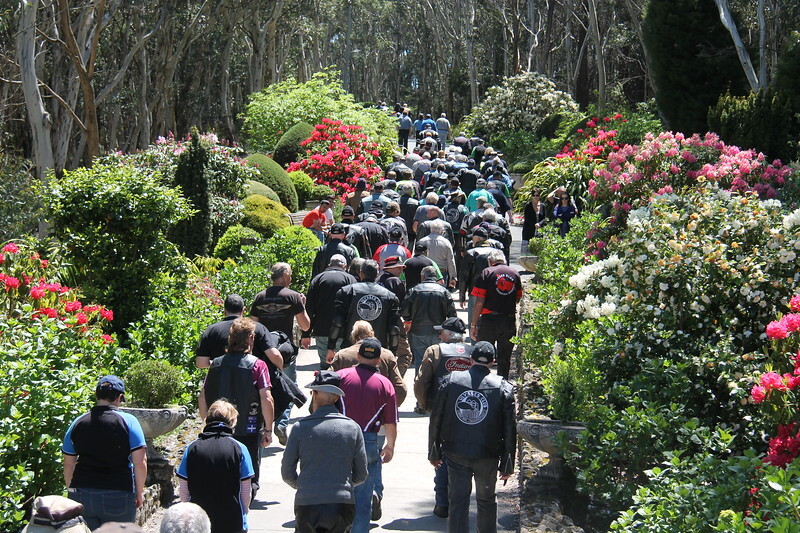 Once we were at Centennial Park, the ride up to the cross and service was run by the Macedon Ranges Branch. There was an excellent turn out of motorcycles, trikes and Spyders. 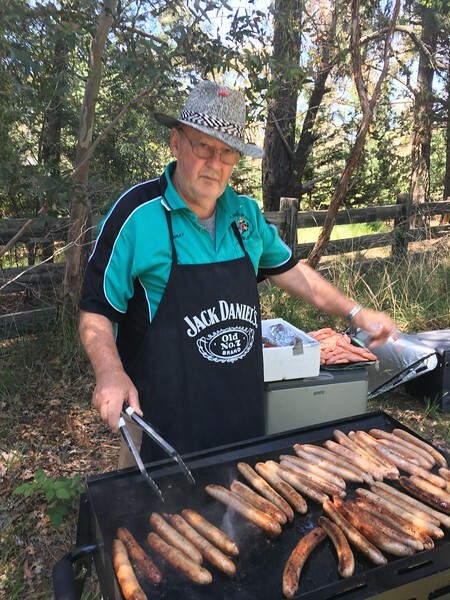 Our crew cooked whilst the service was held a few kilometers away. 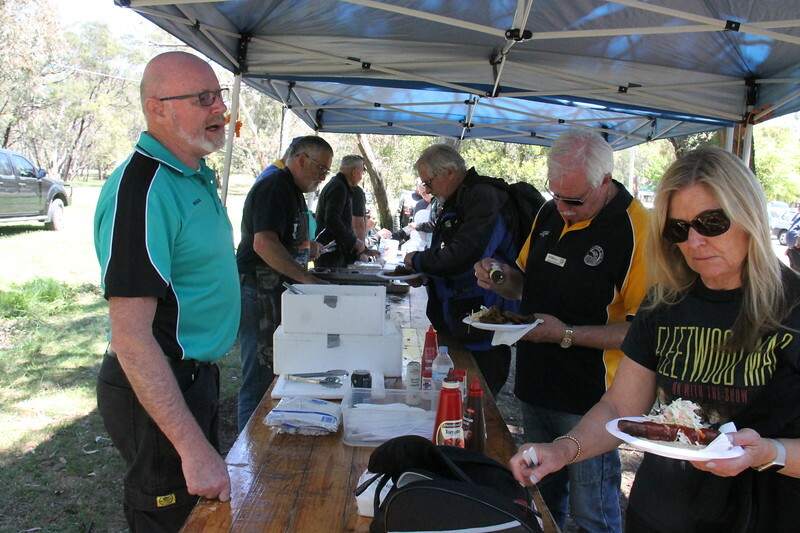 After the service the hungry hoards returned to Centennial Park where we served a BBQ lunch. 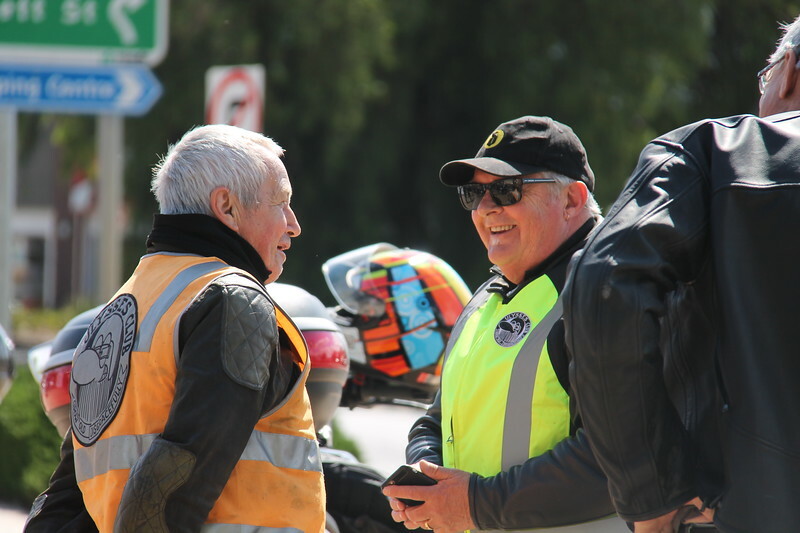 There was a very friendly ‘vibe’ as people from all over the place mingled and talked all things motorcycling. The riding group travelled home in beautiful sunny conditions via Woodend, Trentham, Greendale, Ballan and wound up at Anakie. What a great idea! Bikes and BBQs go well together. That cross is also a must see. Where exactly is it located Jules? Hi Dave, indeed they do go together well! It is also a ‘dry’ event which is a good thing with so many motorcycles in one place. Geez mate that is a big cross. I’ve not heard of this place before. Thanks for sharing. I never thought of myself as a person to wear fluro clothes whilst out riding. I noticed you had a vest on, is that because you were tour captain or do you now like wearing fluro? Steve, the memorial is a very attractive place with really nice gardens and man made structures. I was wearing the fluro vest in the ride leader role. However, I’m thinking that on the very rare occasions that I ride in the Melbourne CBD I will wear one. I must ask Geoff what the evidence is re fluro gear though.